Mention the name BiTurbo around a Maserati lover and listen carefully. If he (or a she...it could happen) rave about how great the car is, he probably owns one, but if he moan/groan about mechanical meltdowns, he probably sold it already. Yes, the twin turbo V6 under the hood wasn't a paradigm of reliability...in fact you could probably say it was about as reliable as gas station sushi...And that is what makes this next BiTurbo so captivating -- keep the Pierangelo Andreani (with heavy influence from Giugiaro's Quattroporte III) styling but add a quiet and planet saving electric drivetrain. 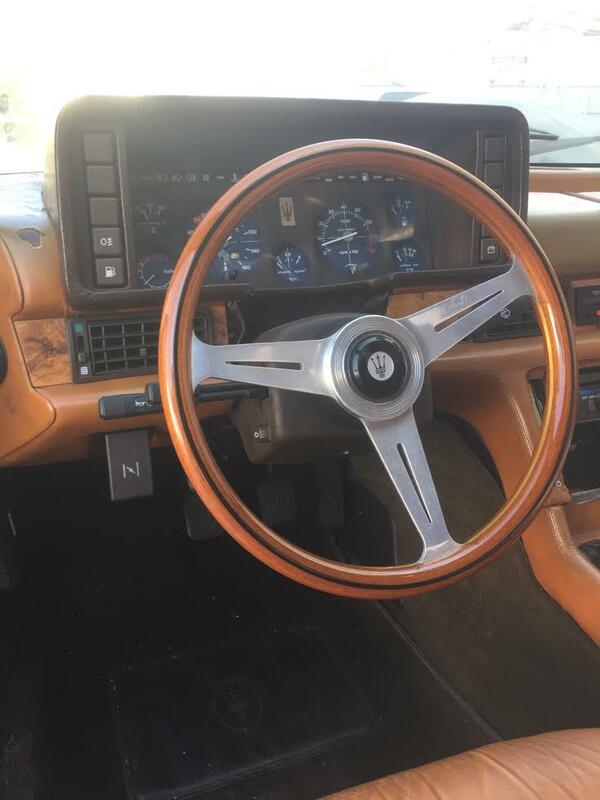 This 1985 Maserati BiTurbo EV is offered for $35,000 or best offer in the Orange County area, CA -- email: gregg.wheelerdealer@gmail.com for more details or to make an offer. 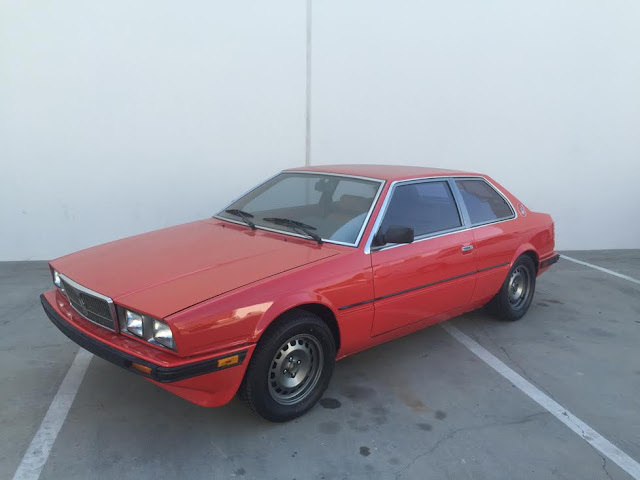 From the seller: 1985 Maserati BiTurbo = Red Exterior / Tan Leather Interior, Approx 39K miles, 5 speed Manual Transmission. History: The vehicle was purchased by the late Martti Nieminen in the early 1990’s. Martti was a successful automotive repair and restoration business owner for over 40 years, master mechanic and fabricator for over 50 years. Conversion: In approximately 1993, Martti began stripping the Maserati of all combustion engine related mechanical parts. i.e. Engine, Fuel Injection and Fuel System, Cooling System, Exhaust System to make way for an early electric vehicle conversion, one the earliest of its kind. 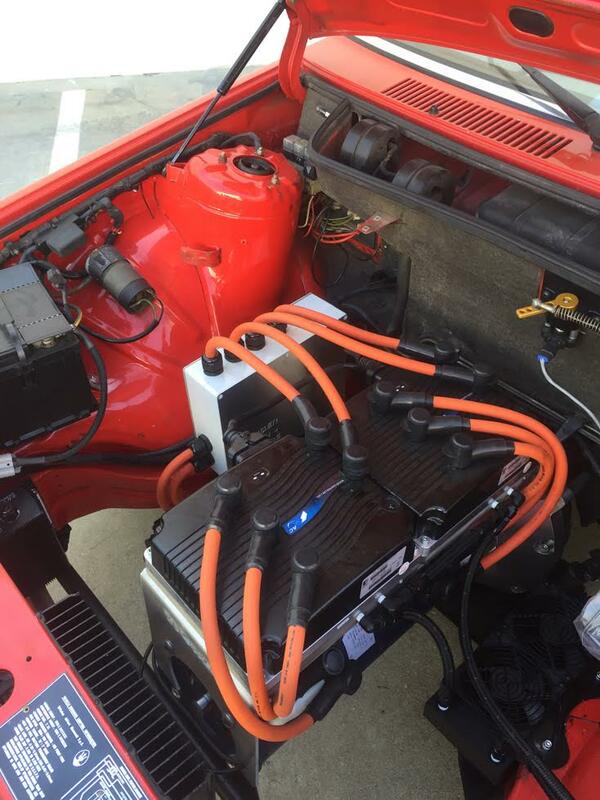 The electric conversion consisted of (but not limited to) a custom bell housing, electric motor, electric speed controller, electric 110V charging system and battery storage trays to accommodate 22 traditional car batteries. The conversion was successfully completed and the Maserati was capable of 70mph and had approximately a 40 mile range. 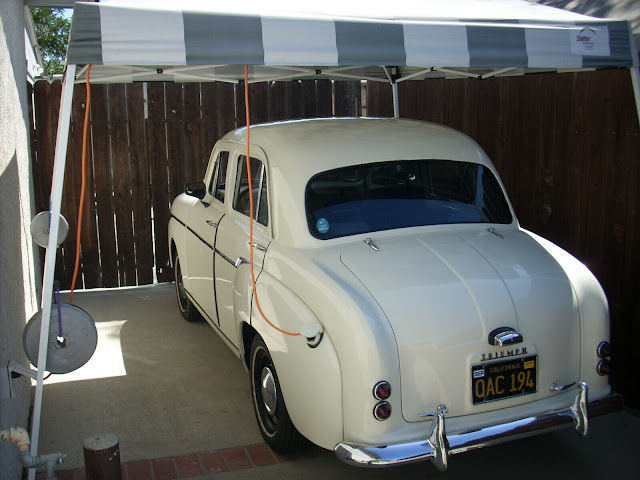 Martti used the vehicle for commuting to and from his shop in downtown San Francisco. This is a truly one-of-a-kind vehicle and, although no one will guarantee it, there is probably an opportunity to be on the show Wheeler Dealers shaking Mike Brewer's hand. The number of 80's Maserati fans AND planet loving EV drivers (I can say that, one of them) must be a really small demographic. Still.. it's certainly an interesting piece! I guess someone finally figured out the most economic way to keep one of these running! this is the weirdest thing I've seen this month. They just aired the show. They "sold" it at the end of the show for $22.5k. That is a ways away from 35. The article states Curtis Dual-AC- 34 Brushless 96V Single-shaft motor.That is incorrect. The AC-34x2 motor is manufactured by HPEVS.